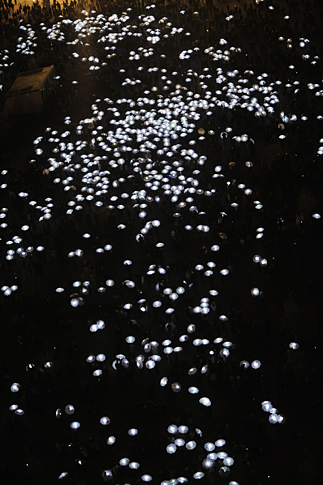 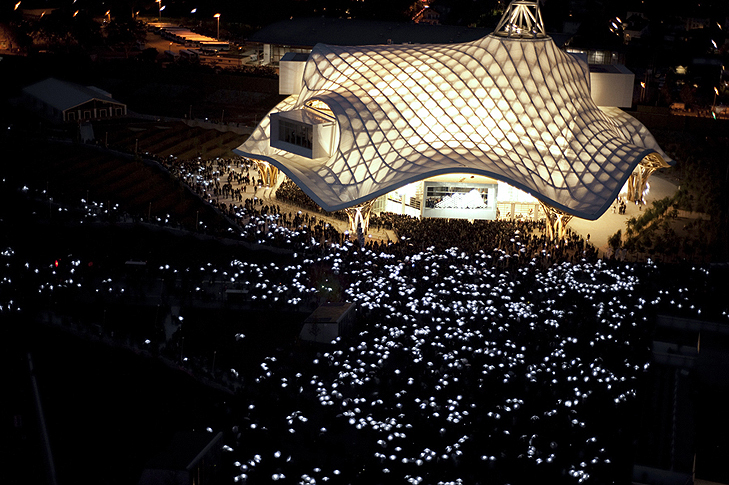 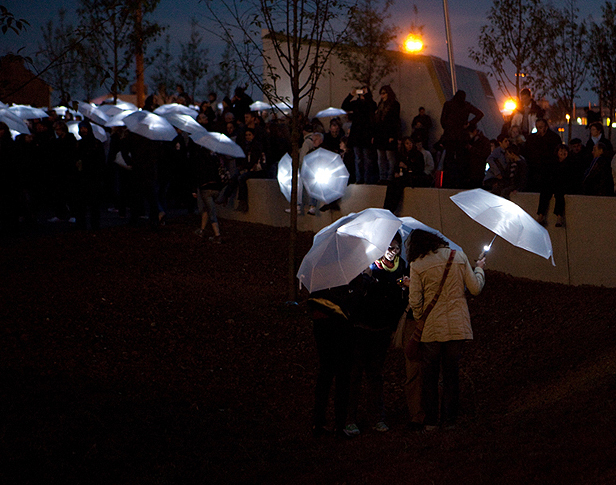 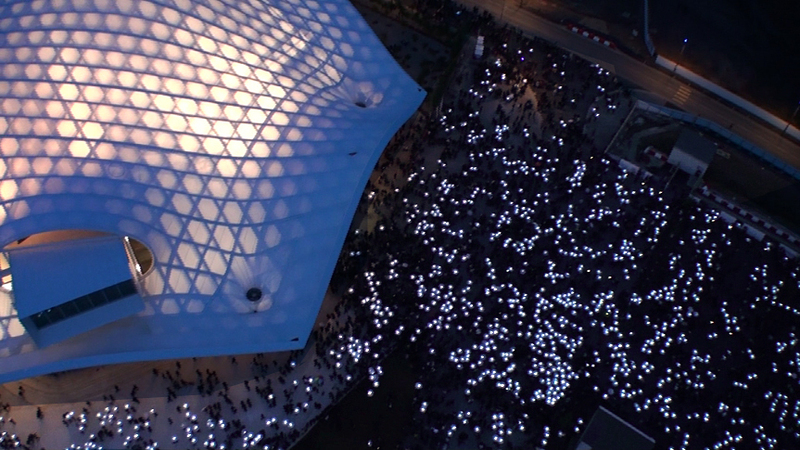 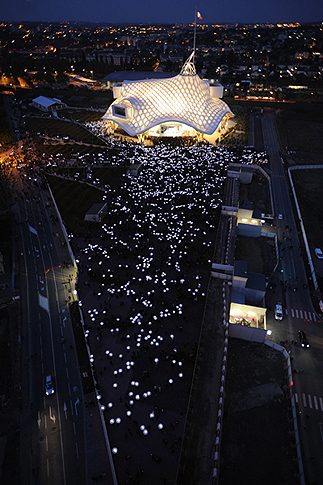 During the opening of the Centre Pompidou-Metz, participants intervened at nightfall when the building is illuminated. 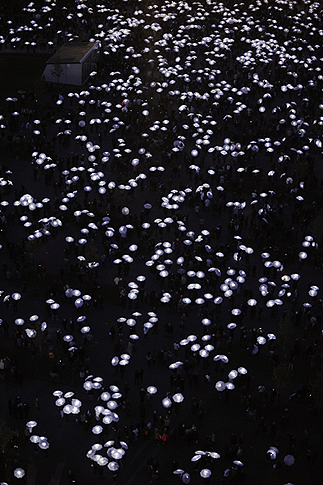 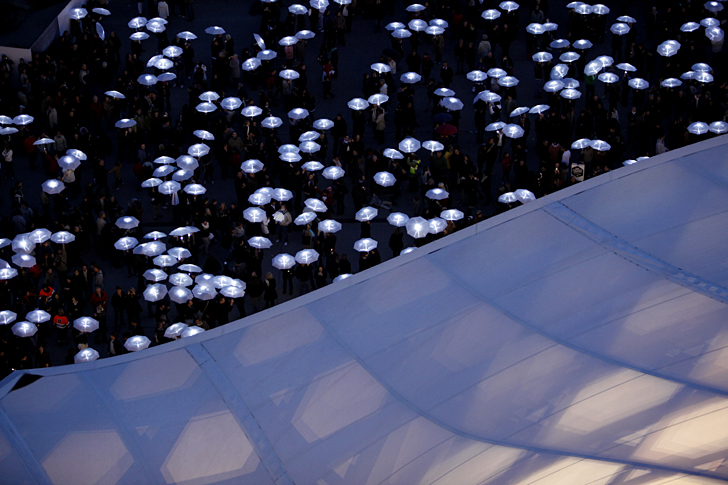 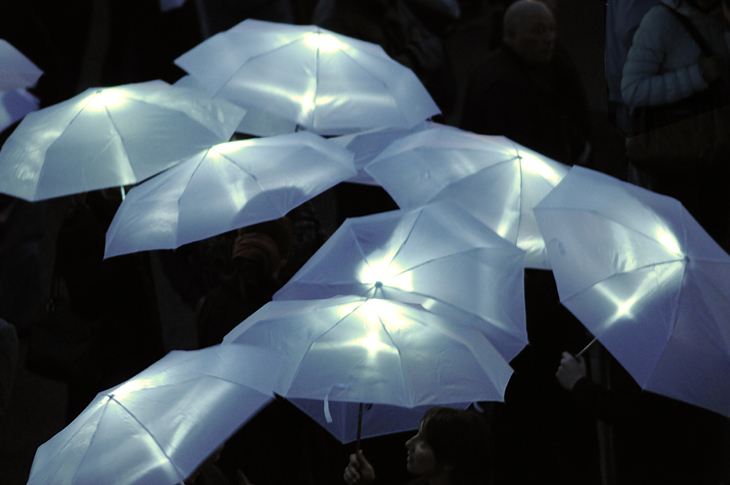 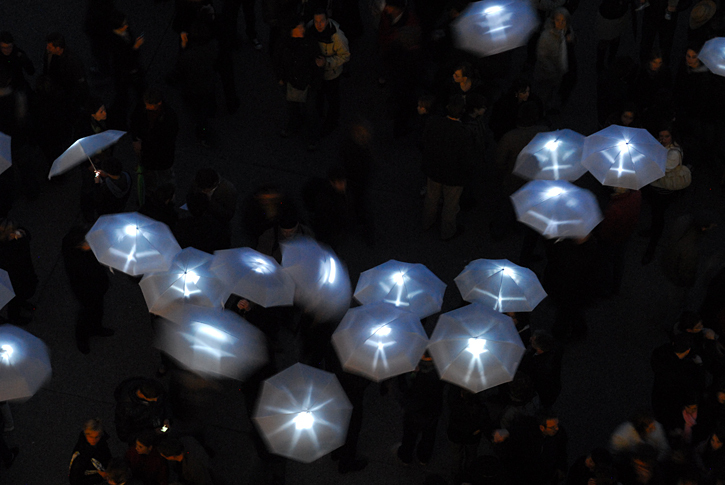 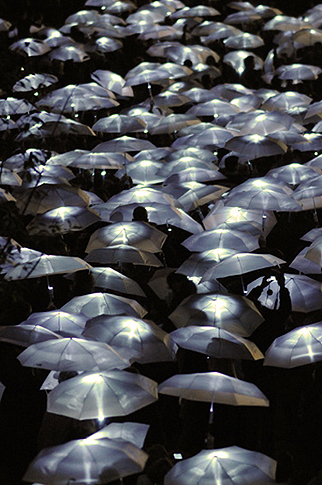 Carrying white umbrellas lit from the inside, people become ephemeral replicas of Shigeru Ban’s building, constituting a moving extension to the Centre’s architecture. 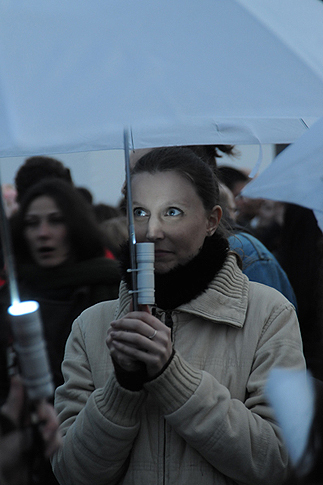 15 May 2010. 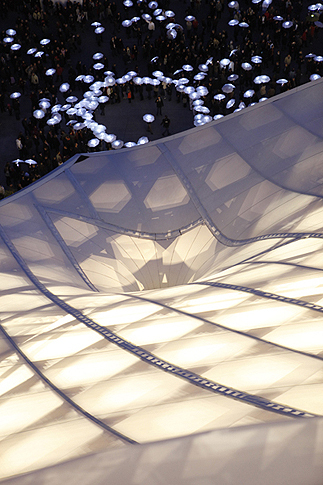 Centre Pompidou Metz, France.